I hope to keep my momentum up during the entirety of African American Heritage Month…It’s going to be a very very busy time! I have presentations at Carnegie Mellon, The Roger Smith Cookbook Conference and the Jewish Museum of Maryland; and I’ll be ending the month with a training with the staff at Colonial Williamsburg’s African American Interpretive department. Of course we’re launching The Cooking Gene Project this month, which is being crowdfunded through Indiegogo and we invite you to learn more about that at www.thecookinggene.com. 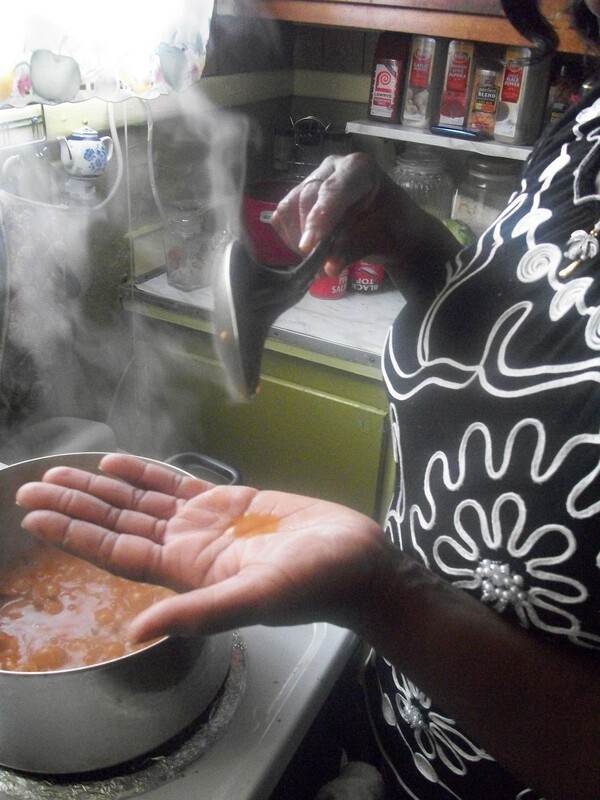 The Cooking Gene has already collected significant interest and questions about people interested in African American genealogy and the legacy of slavery in the development of Southern food. 1. Name at least ten crops and two animal species that were originally domesticated in Africa. 2. Named in part for the Wolof people of West Africa, what rice dish is known in most West African countries? What countries do the Wolof live in? 3. Name three foods (plants or animals) from each of the following regions that was introduced to tropical Africa from: the Americas, Southeast Asia or Eurasia (Europe/Southwest Asia). 4. Where do greens, macaroni and cheese, and black eyed peas in the soul food tradition come from? 5. What is the name of the mixed Black/Native American chef who allegedly created potato chips? 6. Name the cookbooks written by Robert Roberts, Melinda Russel and Mrs. Abby Fisher. 7. Name at least one cookbook written by: Bryant Terry, Jessica Harris, Sallie Anne Robinson, Vertamae Grosvenor, Chef Joe Randall, G. Garvin, Pat and Gina Neely and B. Smith and Michael W. Twitty. 8. Name at least five words of African origin for foods eaten in the American South, the West Indies, Latin America, or Brazil. 9. In what five states that were once British and French North American colonies was rice cultivation by enslaved Africans familiar with the crop encouraged, and then became a major source of revenue to the tune of millions of dollars in today’s money? 10. Name the four famous cooks who worked for Thomas Jefferson preparing him gourmet French food and African-Americanized Southern food? Also, name George Washington’s personal chef! 11. BONUS–name ten African American or African or African Diaspora treats you enjoy at family gatherings! wow, I’ve got my work cut out for me!